Here are the newest colors fresh from the boutique, Cyclade, Outremer, and Sorbet. Outremer looks very similar to 2008 Electric blue or 2007 French Blue, and I want to say Cyclade is very similar to 2006 Blue India. Sorbet resembles 2008 pale magenta mixed with the 2009 bubblegum, I'd have to say this is one of Balenciaga's prettiest pink shade yet! I'm on the fence about getting an Outremer bag for myself, but I'm totally loving Sorbet, and I'm on the list for a coin purse with silver giant hardware. I may have to get a pink bag, but I'm hesitant because I did have a Framboise day bag and I ended up selling it because I thought it was a lot of pink. New Style: The Club - Hit or Miss? 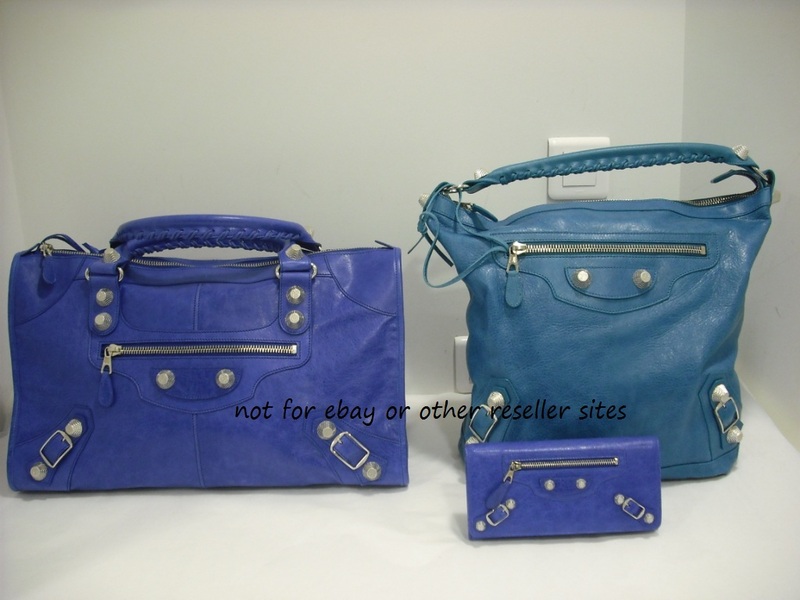 Welcome to my new Blog on Balenciaga bags only!